It’s been a while to say the least. A long while since words meaningful enough to be shared out in the wild have swirled around in my brain but alas my experience this weekend was impactful enough to blow out the mental cobwebs and assemble something worthwhile to say out loud. And what it all relates to is….kids. This past weekend something amazing happened. The Valmont Bike Park opened and was flooded with countless kids…and adults who want to be kids again. All were flowing through this multi-million dollar park on its amazingly designed single-track, technical features, jumps and of course the unique and insane vistas only Boulder can provide. It’s real. It rad. It’s free. My son literally kept asking: “Dad, do we have to pay to be in here?? ?” I simply said: “It’s covered.” And that is thanks to the absolute tireless efforts of Bobby Noyes, Pete Webber, Chris Grealish, Jason Vogel and all the Boulder Mountain Bike Alliance folks and the City of Boulder itself for working so cohesively with all the volunteers and committee members. 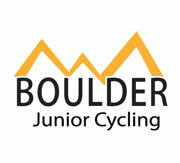 Carrying on the kid theme…Knowing how unbelievable it was last season to see my eldest son Aiden enjoy himself so thoroughly in his first cross season inspired me deeply…I’m happy to announce that I’ll be working on the Boulder Junior Cycling Team’s committee. I’ll be helping to get kids stoked on our sport and hopefully creating a new generation of cross nerds like you and I. Short post…but I am climbing back on the blogging horse. Giddy up.